Honda Motors has recently announced that it is going to destroy 1400 of its cars that had got damaged in the severe floods that had hit Thailand this year. 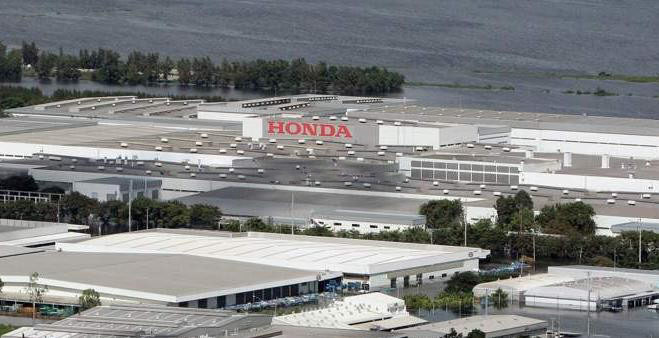 Honda Motors has two of its plants at Ayutthaya, Thailand that had been severely affected by the floods. All these 1400 cars had remained submerged under water for a long period of time and hence had suffered severe damage. Most of the cars damaged in the floods were Honda Brio hatchbacks and its sedan, the Honda City. Initial speculations doing the round of the market talked of the possibility of Honda repairing these damaged cars and bringing them out as completely new units for selling them in both the local and international markets. This had resulted in its prospective customers developing worries and fear. However, the Thailand unit of Honda Motors has put into rest all these speculations by assuring its customers that all these cars are going to be destroyed. A senior executive of Honda Motors has announced that the company never believes in fixing up damaged cars to sell them off as completely new units neither did they prefer to donate these cars to certain organizations for preventing these cars to enter into markets. However, the company is going to retain some of the damage-free parts and store them for usage in the future. Honda Motors is starting this destruction process expectedly on next Tuesday. This will take place at the factories of the company in Rojana Industrial Estate of Thailand. Honda has stated that this whole process is going to be carried out observing environmentally friendly norms.